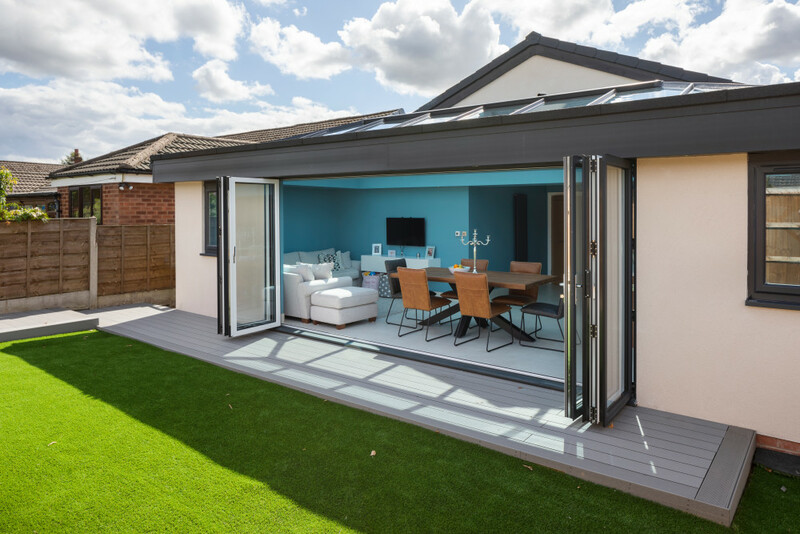 When this customer bought their bungalow, they did so knowing they had quite a project on their hands. Not only was the interior of the property dated and closed off, the rear was in a bad state of disrepair and doing nobody any favours. 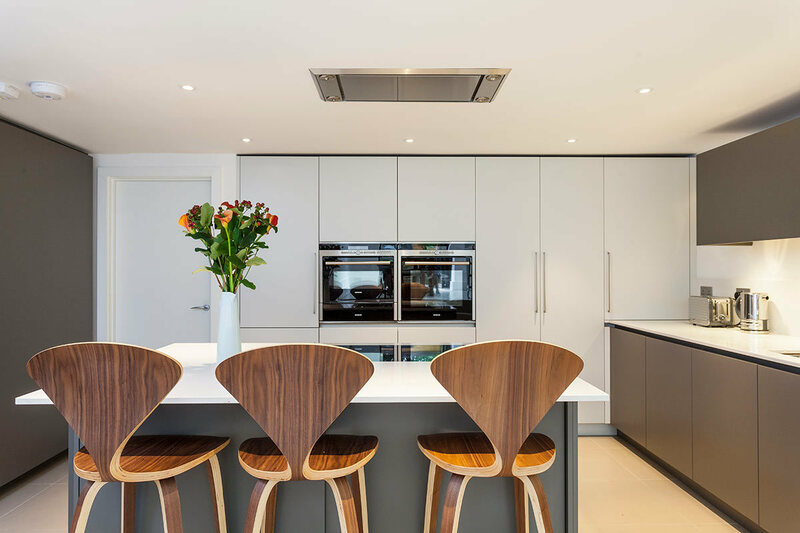 They decided to do a complete redesign of their home, and turned to Resi to help them take on this mammoth project. 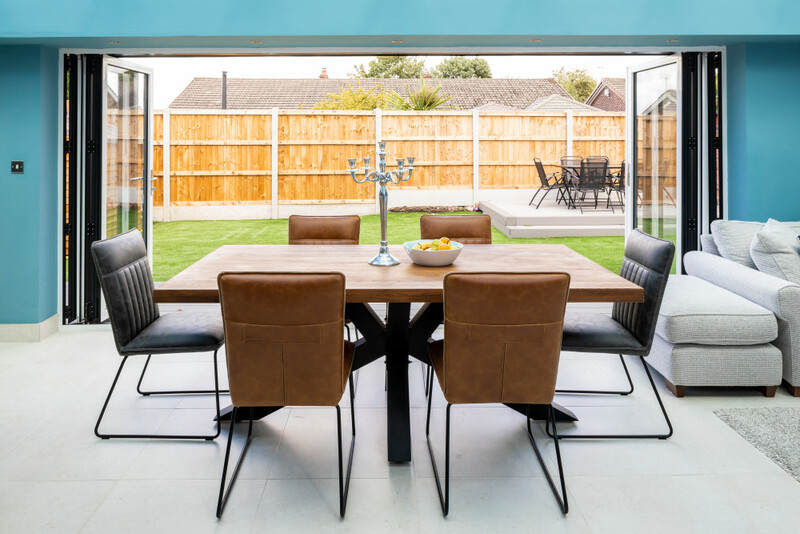 One of the first things the homeowner wanted to do was bring more space to the rear of the property - the perfect calling for a rear extension. 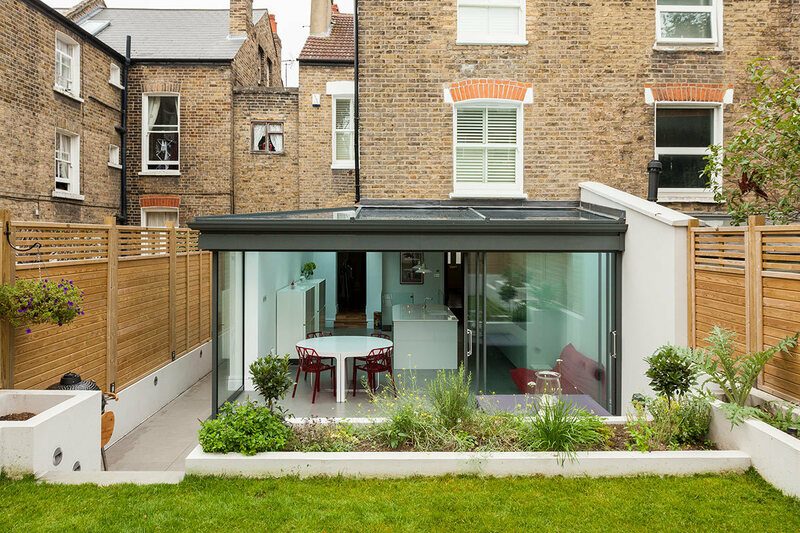 We wanted this extension to not only add more room, but to be a modern update for the building, to help lift it into the 21st century. We said goodbye to those dinky old windows, and replaced them with large bi-fold doors, and an impressive glass lantern roof. This brought some much needed sunlight into home, along with the added benefit of greater garden access. This added sunlight was a must, as our next step for this home was to address the poor layout. When bought, this home felt dark and cramped, thanks to the many closed off rooms. 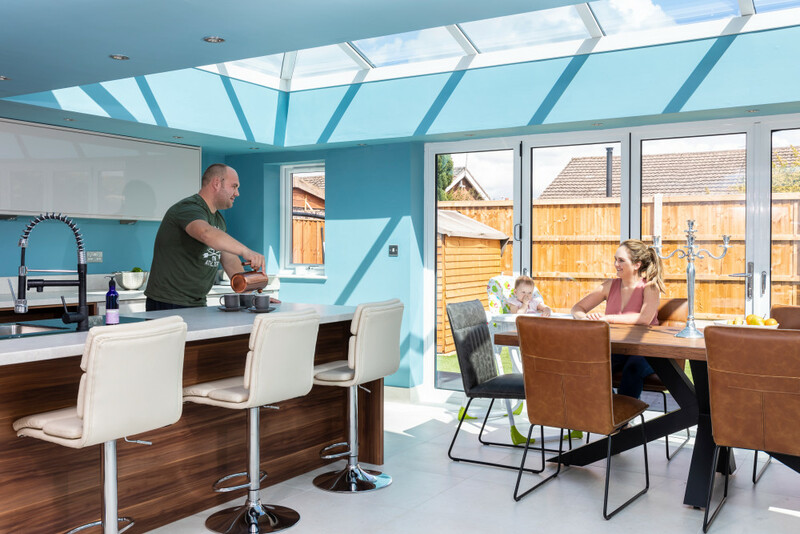 We put an end to all that, and instead opted for an open-plan design, with some extra living space towards the rear of the home. This created a wonderful family space, with living, kitchen, and dining room all combined into one - complete with a breakfast bar for those early morning cereal-fests. For the rest of the home, we went for a more traditional approach, to give the family their own person areas. For the kids, this meant adding on a playroom to the side of the property, far enough from the road so that nap time won’t get interrupted. The parents not only get to enjoy their own bedroom, but also a second living area, for those cosy rainy days. 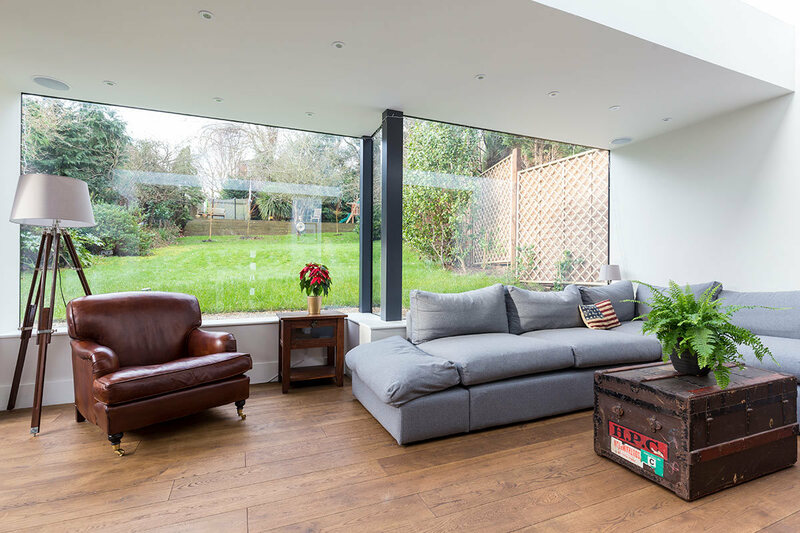 Though small, this living room still feels bright and airy, thanks to the added touch of skylights running along the ceiling. We added in all this, plus found space for the family’s bathroom. A classically designed space, with marble details and large tub for soaking in. But this still isn’t all that went into this home! 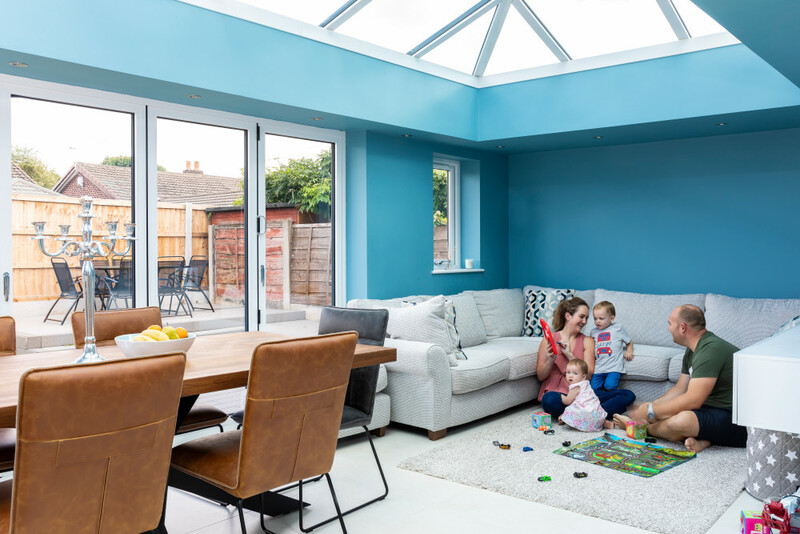 This homeowner also: replaced the entire roof, added on a new bedroom, added on a new bathroom, rewired the whole property, plus added in a new heating system. Like we said: a mammoth project! 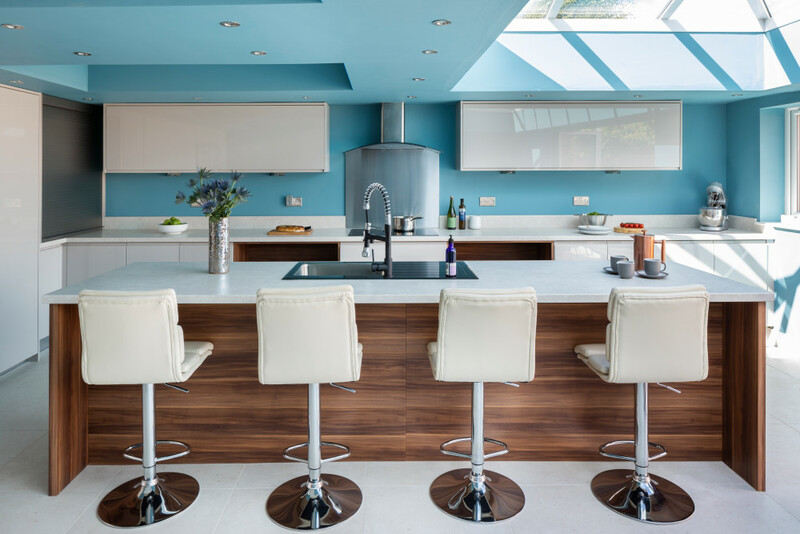 When asked if they enjoyed their first taste of home improvement, they said: “the process couldn’t have been that bad, as we plan on selling this property and turning our hands to another project”. We can’t wait to help them on their next home journey.